Takoda and I doing a little ringside warm up before a run. Even though we are both a little blurry, I really like this photo, maybe because we are blurry! 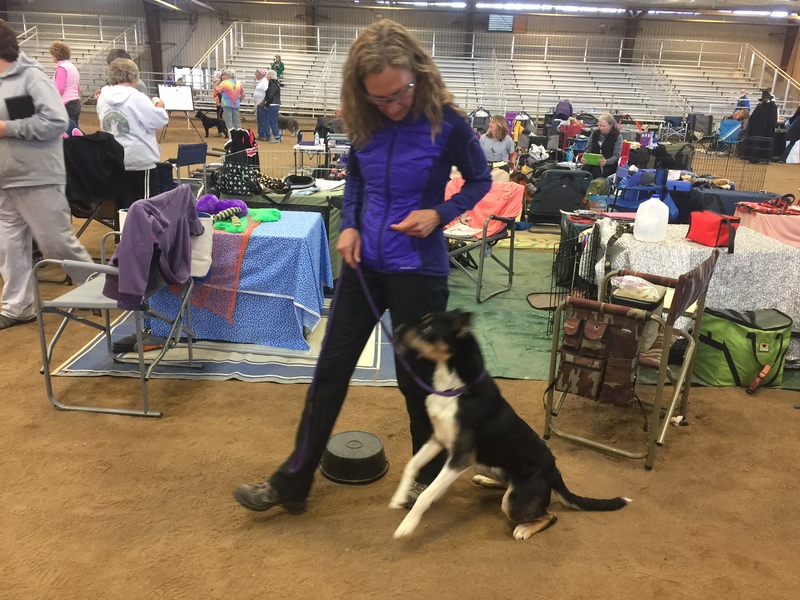 After running Takoda in Intro at three trials and seeing his confidence and focus increase at each trial, I thought he was probably ready to move up to Novice. 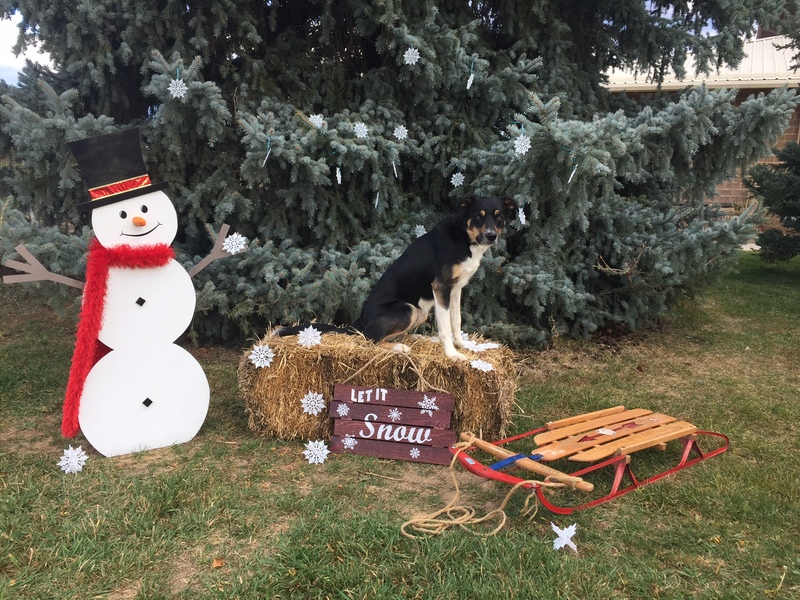 I knew he had the skills but I was not certain he would be ready to demonstrate those skills in a new trial setting and at his first indoor trial. I was so nervous before the first couple of runs, I felt a little light headed. Crazy but it reminded me of how I felt when Lil and Jake started trialing many years ago. Fear of the unknown I guess. After a couple of really nice fluid runs, I exhaled 🙂 and shifted gears from wondering what he’d do.. to viewing each run as an opportunity to “see what he knows.” Turns out, he knows a lot. I didn’t find a single hole in his foundation training all weekend long. Beautiful start line stays, awesome contacts, and 100% connection on every run. I am sure holes will show up in the future but running 18 classes over the course of 3 days really drove home how a solid foundation translates into clear communication between a dog and a handler. 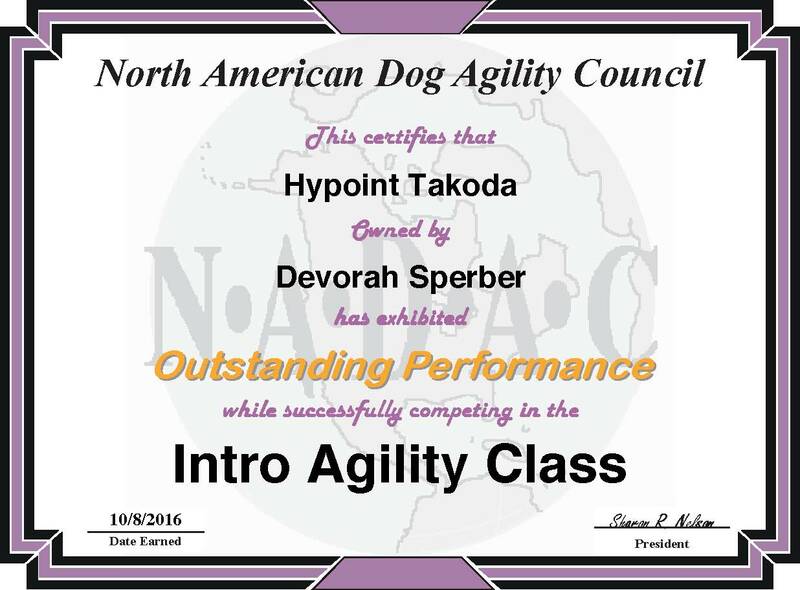 I could not be more proud of Takoda! Intro Tunnelers, last class of the trial on Sunday. Takoda came into this trial needing one Q more Intro Tunnelers Qs for his Versatility Award so I ran him in Intro. 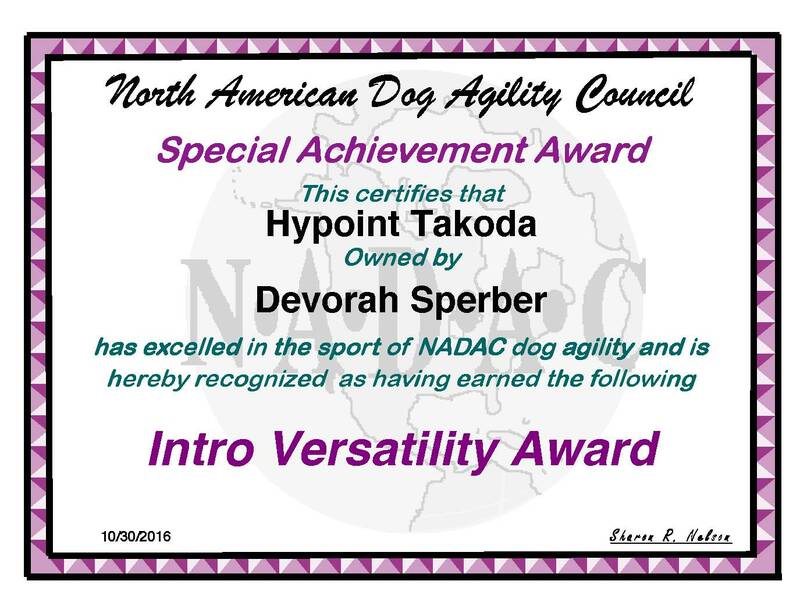 A friend called Takoda the Cary Grant of Agility (or something like that) due to his smoothness on course. I am still chuckling about that. Takoda earned another significant Intro title before this trial, with 10 Qs in Intro Regular.